DOCTOR WHO Pure Historical's - MARCO POLO | Warped Factor - Words in the Key of Geek. 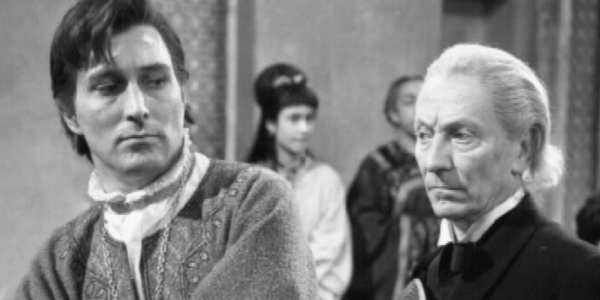 In the first of a new series, Christopher Morley looks back at the historical stories from Doctor Who, starting with the first of such (and co-incidentaly the earliest missing episode of Who), Marco Polo. Hard as it may seem to believe, there once was a time when the Doctor himself said ' You can't rewrite history- not one line!'. Given the scrapes his future incarnations got themselves into doing just that it's hard not to imagine the First looking on with a resigned tut & maybe a quick 'I told you so'. He, of course was no fan of intervening to change history however much good it may have done. 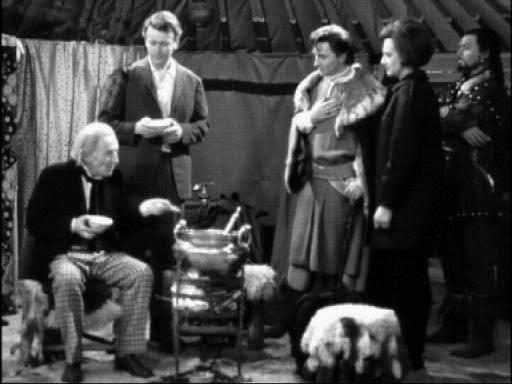 And in this series we'll be looking at the 'pure historical' side of Who (which means mostly the Hartnell years, though the scope may be widened to incorporate future Doctors subject to your own criteria. Indeed if you can think of any other stories beyond the obvious that you'd like to see included, drop us a message on our special Warped Factor branded psychic paper). We start in the logical place, at the beginning, with the first such episode of the run. 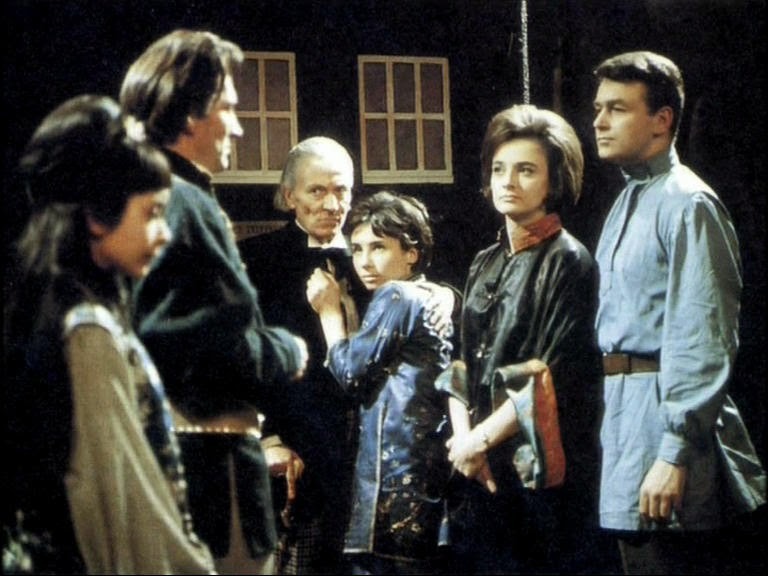 Marco Polo was the fourth story of the début series, with the Doctor, Susan, Ian & Barbara meeting the titular explorer & possible inventor of the mint with the hole on his travels in Asia. Rather frustratingly for our awesome foursome the grand old police box is damaged after the events of The Edge Of Destruction, as you might expect, or not if you've yet to see it. Young Chesterton & his good lady Ms Wright quickly embark on a well-meaning quest to find some fuel. Sadly though the petrol station/garage has yet to be invented in this corner of time & space- the 12th century, since you ask. Before they can say ' Oh look, there's a pump free. And they do travel sweets. Huzzah!' after making it back to the Doctor's side, there's trouble afoot. Never pays to upset a Mongol. As you may or may not have been told in school history lessons......luckily somebody up there likes our heroes, though. Mr Polo quickly gets involved, offering everyone one of his revolutionary new mints & stopping things getting messy. Or something like that. The poor old First is experiencing a bit of altitude sickness, and Marco graciously lets the travellers join his company. Who else is lucky enough to be along for the ride to go & meet Kublai Khan? There's Tegana, a so-called 'emissary of peace' from the Noghai Khan, leader of the Golden Horde- who rather inconveniently are currently at war with Kublai's Yuan Dynasty- & Ping-Cho, who's supposed to be taking part in an arranged marriage. But it's here that we come to our first real piece of inaccuracy. It wasn't Noghai Khan who was locked in conflict with old Kublai. It was Nog's nephew Kaidu who had a beef with him at around the same time as Marco Polo is set. If you happen to have a check-list handy here's your first chance to tick a box! And if you knew that already add in a ' well done old boy/girl' & a pat on the back. Lesson two in our 'why you shouldn't trust a Mongol' course follows. The clods think the Doctor is some kind of evil sorcerer! Last time we checked, looking & acting like a disgruntled elderly history teacher wasn't that much of an offence. Polo isn't much better, either. Having seemed like a trustworthy type he quickly tells the lapel-thumbing one that he's taking the TARDIS (or 'flying caravan' as he calls it, not knowing that you'll never find such a thing in the Haven holiday parks for such purposes in the future) as a nice present for the Khan to try & worm his way out of servitude. No wonder the Doctor's grumpy if this is how people are going to treat him. He'll be fuming once he learns what Tegana's actually planning, as Susan & Ping-Cho do after getting bored watching Ian play Polo at chess - the Doctor not taking part presumably having had a horrific vision of being attired in a massive coat, overly long scarf & rather distinctive teeth & curls & losing just such a contest to a metal dog. Oh, the indignity! More pressingly for now though, they're running a tad low on water. Polo makes the worst possible choice of errand boy (Tegana) & Ping-Cho keeps spirits up with a rousing telling of the Aladdin story. DVDs, though, haven't been invented yet- allowing the naughty emissary to slip off & plot with some similarly rabble-rousing friends. Luckily Barbara's followed him & able to at least partially able to hear the plan before rather less wonderfully managed to get herself captured. Some divide & conquer tactics then seem to give Tegana the advantage, and Polo makes an attempt to enter the TARDIS for himself. Before long nearly everybody seems to want a piece of it until they actually reach their intended destination- the Khan's palace. After some initial mutual old man crotchetiness, Kublai & his new Time Lord friend decide they actually quite like each other. 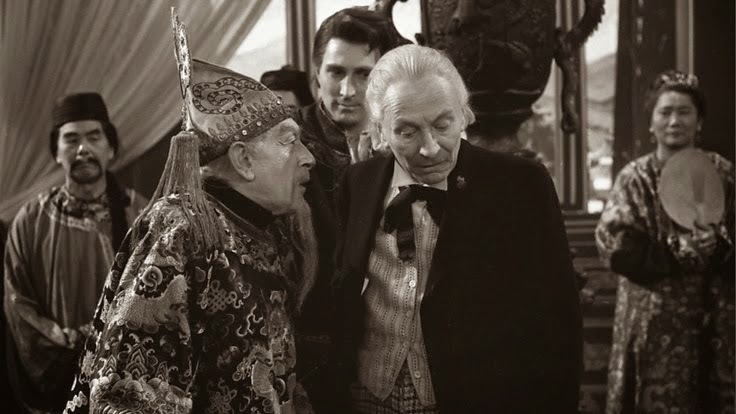 And their friendship is surely supposed to be cemented when the man from Gallifrey accepts the offer of a game of backgammon against the ruler of most of Asia at the time? Rule one in any book on gambling must be ' don't stake your transport', which the Doctor foolishly ignores & promptly loses his prized Type 40 having won a sum total of 4000 white stallions, 35 elephants, 25 tigers, the allegedly genuine tooth of the Buddha & the sum total of Burma's commercial revenue in a year. Tegana has his eye on a bigger prize though- killing the Khan & usurping his imperial throne. It looks like he'll get away with it after persuading him to imprison the troublesome time travellers..until they stage an escape. Sadly without some Scooby-Doo style incidental music (more than made up for by Tristram Cary's actual score), they warn Polo. Nearly everybody's dead by the time they get to Kublai, making for quite a body count. Handily for his grandson, Genghis, though, gramps survives. 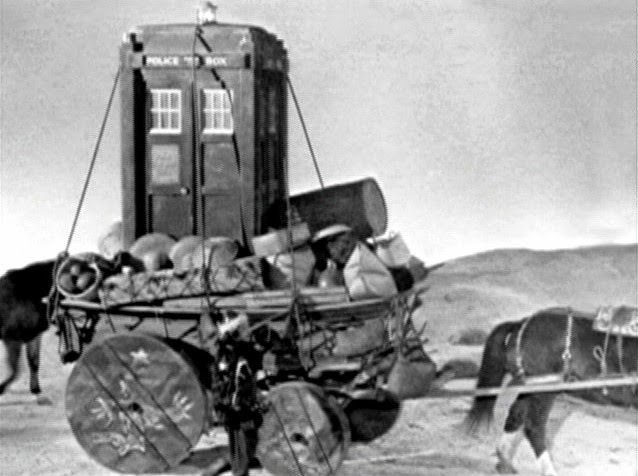 Legging it back to the now-reclaimed TARDIS with Polo's blessing & more than likely a few packets of mints, the happily now more together as friends team of the Doctor, Susan & Barbara dematerialise before everyone else's eyes. All rather spoilt perhaps by the revelation that some historians (though not all) now doubt the truthfulness of Marco's version of events- see http://www.history.com/topics/exploration/marco-polo. 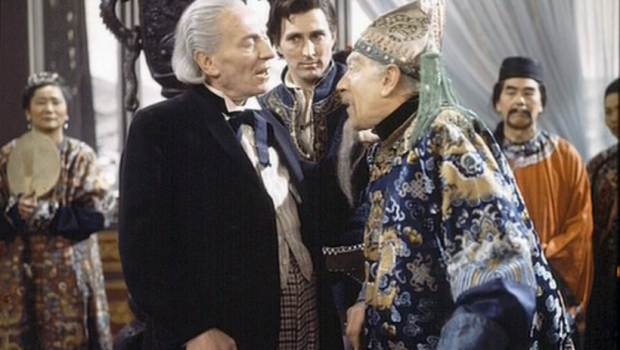 Somewhere the Doctor's taking a mournful drag on that once-seen pipe & cursing, surely? Next week in the pure historical's, Christopher Morley turns his attention to The Aztecs. But before that, come back later today for our look back at just how all these Doctor Who episodes went missing.